Honorary Professor, Centre for the Government of Queensland, School of History, Philosophy, Religion and Classics. Board Member, Youth + Marlene Moore Flexi-learning Centre Network, Edmund Rice Education Australia (2013 onwards). National Fellow of the Institute of Public Administration Australia (since 1990). Former editor of The Public Interest (Brisbane). Former co-editor of the Australian Journal of Public Administration. Former Review Editor for Politics (now AJPS). 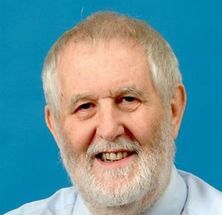 Member/chair of several Quality Assessment Panels of the Queensland Office of Higher Education and formerly member of similar bodies operating in several states during the CAE era. Member of several Federal Government committees of enquiry into education, including management education (Ralph Committee), aboriginal education (Yunipingu Committee) and university management (Linke Committee). Former panel member of the Commonwealth Government Review Tribunal on Non-state Schooling. Former consultant to international aid organizations, providing advice on public sector reform - Uganda, Kazakstan and Nepal. 1962-1965 : Rhodes Scholar at the University of Oxford; fieldwork for thesis on the development of trade unions in Uganda completed while Rockefeller Teaching Fellow at the University of East Africa, Kampala. 1965-1977 : Lecturing at University of Sydney, the Queen's University of Belfast, and the Canberra College of Advanced Education (Principal Lecturer in Politics in the School of Administrative Studies). 1977-1987: J.D.Story Professor of Public Administration, University of Queensland. President of the Academic Board, 1986-1987. 1987-1990: Principal of the Canberra CAE, Foundation Vice-Chancellor of the University of Canberra. 1990-1994 : Director General of Education, State Government of Queensland. 1994 : Visiting Professor, Graduate School of Management, Griffith University. 1994 - 2000: Dean of Arts, Queensland University of Technology. 2000 - 2002: Professor of Public Management, Faculty of Business, QUT. 2003 - 2011: Professor Emeritus and Teaching Fellow, School of Political Science and International Studies. The practice of public policy in Queensland. The T.J.Ryan Foundation will function as a think tank specifically focussed on public policy in Queensland. Scott, Roger (2017) Reflections on the origins of the Australasian study of parliament group: In defence of parochialism. Australasian Parliamentary Review, 32 1: 153-157. Scott, Roger (2016). Answering back: 'Campbell Newman and the challenge of reform'. In Scott, Ann (Ed. ), The Newman years: rise, decline and fall (pp. 181-189) Brisbane, QLD, Australia: TJ Ryan Foundation. Scott, Roger and Scott, Ann (2016). Newman government 2014: political battleground. In Scott, Ann (Ed. ), The Newman years: rise, decline and fall (pp. 68-112) Brisbane, QLD, Australia: TJ Ryan Foundation. Scott, Roger and Ford, John Queensland parties: the right in turmoil 1987-2007. St. Lucia, QLD, Australia: Centre for the Government of Queensland, The University of Queensland, 2014. Scott, Roger (2016). Parliament under Newman in 2014. In Scott, Ann (Ed. ), The Newman years: rise, decline and fall (pp. 55-67) Brisbane, QLD, Australia: TJ Ryan Foundation. Scott, Roger and Scott, Ann (2016). Political combatants. In Ann Scott (Ed. ), The Newman years: rise, decline and fall (pp. 113-133) Brisbane, QLD, Australia: TJ Ryan Foundation. Scott, Ann and Scott, Roger (2016). The Newman government 2012-2013: drawing battle lines. In Scott, Ann (Ed. ), The Newman years: rise, decline and fall (pp. 27-45) Brisbane, QLD, Australia: TJ Ryan Foundation. Scott, Roger (2016). The strategists - the relationship between Labor, labour and the electorate. In Scott, Ann (Ed. ), The Newman years: rise, decline and fall (pp. 151-159) Brisbane, QLD, Australia: TJ Ryan Foundation. Scott, Roger (2016). Winners and losers: the election in January 2015. In Scott, Ann (Ed. ), The Newman years: rise, decline and fall (pp. 134-150) Brisbane, QLD, Australia: TJ Ryan Foundation. Scott, Roger (2008). Fitzgerald Inquiry. In Brian Galligan and Winsome Roberts (Ed. ), The Oxford companion to Australian politics (pp. *-*) Oxford, England, United Kingdom: Oxford University Press. Scott, Roger (2015) Mobilising Dissidence: The Relationship Between Labor, Labour and the Wider Community in the 2015 Queensland State Election. The Queensland Journal of Labour History, 21 47-60. Scott, Roger (2013) Indirect rule in tropical Africa: up close and personal. Journal of Historical Biography, 14 101-119. Scott, Roger (2013) Queensland transparency: lapdogs and watchdogs. Australasian Parliamentary Review, 28 2: 71-79. Scott, Roger D. (2012) Political tsunami - the 2012 Queensland election and its aftermath in Parliament. Australasian Parliamentary Review, 27 2: 89-98. Scott, Roger (2012) The Ayes Have It; The history of the Queensland Parliament 1957-1989. Australasian Parliamentary Review, 27 2: 115-119. Scott, Roger and Spearritt, Peter (2010) 'Queensland speaks': A progress report. Australasian Parliamentary Review, 25 1: 49-53. Scott, R. D. (2009) Gowers of Uganda: The Public and Private Life of a Forgotten Colonial Governor. Australasian Review of African Studies, 30 2: 12-31. Scott, R. D. (2005) Interview with Frank Peach. Conversation with a reluctant generalist. Public Interest: Newsletter of the Royal Institute of Public Administration Australia (Queensland Division), 3: 5-10. Scott, R. D. (2005) Making their Worlds Safe for Democracy: Pericles and President Bush. AIIA Queensland Branch Newsroom, . A personal memoir of policy failure. The failed merger of ANU and the Canberra CAE. Scott, R. D. (2004) A personal memoir of policy failure. The failed merger of ANU and the Canberra CAE.. Australian Universities Review, 47 1: 10-20-20. Scott, Roger (2015). Forty years on from the 1975 APSA conference academic engagement with government. In: APSA Conference, University of Canberra, (). 28-30 September 2015. Scott, Roger Dennis (2014). A Queensland case study: universities, practitioners and a think tank. In: XVIII IRSPM: 18th Annual Conference of the International Research Society on Public Management 2014, Ottawa, ON, Canada, (). 9-11 April, 2014. Federalising Insecurity - Policing in the States or a Police State? Scott, A. E. and Scott, R D (2006). Federalising Insecurity - Policing in the States or a Police State?. In: Kim Huynh, John Howard's Decade. John Howard's Decade, Australian National University Canberra, (1-19). 3-4 March. Scott, Roger (2003). Resisting Amalgamation From A Position Of Weakness: An Intimate And Partial Version Of The Saga Of The Several Attempts To Merge The ANU With The Canberra CAE To End The Binary System In The Australian Capital Territory. In: Seminar series, Menzies Australian Studies Centre, London, Institute of Commonwealth Studies, London University, (). 20 December 2002. Scott, Roger D. and Scott, Ann E. M. (2001). The Search for Virtue and the Role of Anti-Corruption Agencies : A Queensland Case Study. In: 2001 Annual Conference of the Public Administration Committee of the British Inter-Universities Council, Sunningdale, (). September. Scott, Roger D. and Wilson, Kate (2000). King Gough : Madness Or Magnificence? A Retrospective View Of The 1975 APSA Conference. In: Annual Conference of the Australasian Political Studies Association, Canberra, (). July 2000.